Abhyudaya Co-operative Bank Limited Recruitment 2018 | 100 Clerk Post: Abhyudaya Co-operative Bank Limited has published recruitment notification for the post of 100 vacancies of Clerk post. Eligible Interested Indian Candidates apply online for Abhyudaya Bank Clerks Job vacancies from 12th April 2018 and close on 20th April 2018. More information please read below mentioned details carefully. 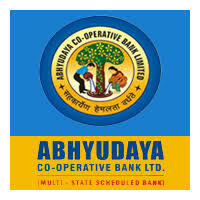 Name of the Bank : Abhyudaya Co-operative Bank Ltd.